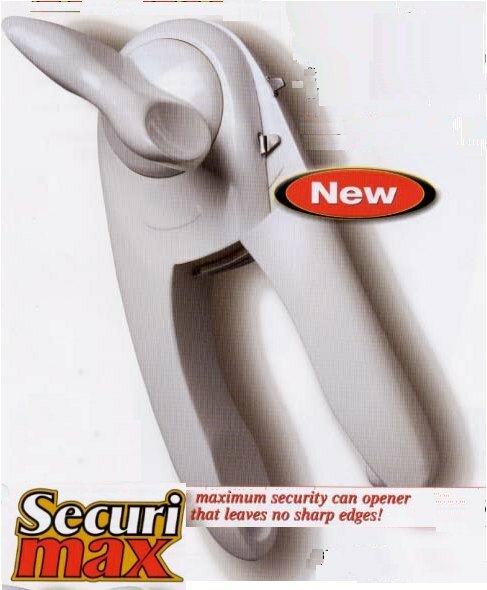 Securimax can opener is often said to be the best can opener in the world. The swiss made blade cuts into the rim of the can, weakening it. You then use pincers on the side of the securimax safety can opener to open the can. Result being both edges of the lid and top of the can are smooth and the empty can be safely washed and recycled. SecuriMax Can Opener text, images and video are copyright.